The readings this morning are quite helpful for those of us who are beginning to think – after a night of snow and sleet with high winds – that winter will never end. It all starts in the first line from Isaiah the prophet whose message from God is, “Lo, I am about to create new heavens and a new earth; the things of the past shall not be remembered or come to mind.” Isaiah’s description of this “new earth’ continues and is enhanced by Psalm 30 which sings praise to God for having rescued the faithful ones and by the story in John’s gospel of the cure by Jesus of the royal official’s son. But, wait. Back up a moment. Aren’t we still living on this same old earth? And, even though Pluto has been downgraded in status, aren’t all – or most – of the planets and stars still intact in “the heavens” – or is Isaiah talking about THE heaven, the place we’ll be living after this? I may sound a bit facetious here, but the meaning of this prophecy and the way we see its fulfillment in Christ are, most assuredly, about something more than what is taking place on the physical plane. Often, however, it is on this level that we continually choose to live, failing to notice deeper meaning. Jesus sounded a little grumpy even as he was attending to the long-distance healing of the royal official’s son. When he was asked to heal the boy his first response was, “Unless you people see signs and wonders, you will not believe.” Was he able to heal the son? Of course. Was he willing? Yes. I think, though, that it must’ve been hard for him to be working among a whole population of literalists. 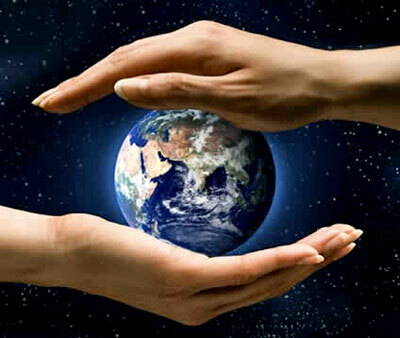 He was on earth to facilitate the coming into being of a new consciousness, the only way that the earth and heavens can truly become new – by loving God and neighbor and thus coming to the unity that God had in mind when the “first” earth and heavens were created. I’m fortunate to have many opportunities to participate in conversations with people whose focus is the possibility of such newness. We wonder sometimes about the convergence lately of scientific and spiritual thought. We are encouraged by the amount of sharing in interdenominational gatherings of Christians and those of other faith traditions. Sometimes we muse on why so many new discoveries in science and religion (archeologically and otherwise) have been made in our lifetime. Are we perhaps ready to go to that deeper place? In the face of terrible trauma on earth and in human life are we ready to move to forgiveness of the past, willing to embrace “our neighbors” without distinction, able to see that our salvation is in love and love alone? There seems no time like the present to embrace this hope for newness. The gospel from John (9:1-41) can be seen as a good example of a long, drawn-out, convoluted attempt to prove a point which is obviously flawed. It is the story of the man born blind whom Jesus cured. That sounds like a simple fact to us but everyone was concerned about the whole situation because there were factors in the situation that were not what was expected. First, everyone – including the disciples – wanted to know (in keeping with the prevailing wisdom of the time) who had sinned to cause the blindness – the man or his parents. Jesus said, “Neither” and proceeded to give a speech about himself using this opportunity to manifest the works of God. Then he cured the man. After that everyone got into the act trying to figure out how the man had been cured. The man repeated several times: to the neighbors, the Pharisees, then a segment of the Pharisee contingent, then those Jews asking his parents, then the Pharisees again…the simple facts of Jesus making clay, putting it on his eyes, telling him to go and wash in the pool of Siloam, which gave him his sight. No one was listening. They didn’t expect that possibility of Jesus. Only the blind man himself progressed in his understanding, saying in answer to the queries: 1.”It was the man called Jesus.” 2. “He is a prophet.” 3. “I do believe, Lord.” In the end, those whose minds were closed finally gave up, missing the entire point. They were, one might say, too blind to see. My absence yesterday was due to a surprise intestinal bug, which is, hopefully, on its way out enough for me to put a few thoughts together. The theme in each of today’s readings, as I see it, is about the familiar Lenten call to “return to the Lord” and counsels humility and honesty as the attitude necessary to accomplish reconciliation. The words of the psalm refrain encourage us that God’s stance regarding our return is: “It is mercy I desire, not sacrifice.” Why would we hesitate to approach this God? As a matter of fact, the prophet Hosea reminds us that it is God who comes to us, longing for us, more than we can imagine. “Let us know, Hosea says, let us strive to know the Lord; as certain as the dawn is his coming, and his judgment shines forth like the light of day! 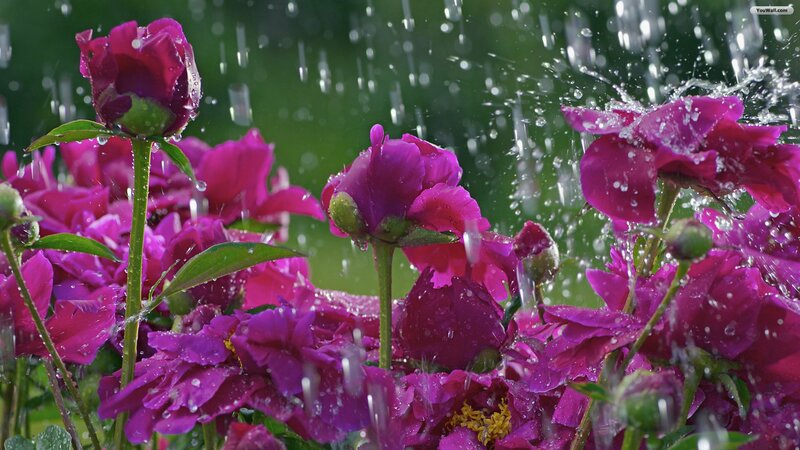 He will come to us like the rain, like spring rain that waters the earth.” Having the confidence that God is always on our side can allow us to approach God, having made an honest assessment of our lives and with a humility that is willing and unafraid to speak the truth to the God of love and understanding. That is the message of the gospel this morning – the familiar story of the Pharisee and the tax collector. We have probably all encountered people like the Pharisee who spends time thanking God that he is “not like the rest of humanity.” That arrogance is always off-putting. We hear only one simple sentence from the tax collector: “O God, be merciful to me a sinner.” That’s all that is necessary. A footnote: Many of us grew up interiorizing the notion that we needed to be perfect in order to garner God’s approval, God’s love. One of the best analogies I have found about this is the definition of sin as “missing the mark.” It speaks of the necessity of practice before one is able to hit the bull’s eye; no one expects that this will be the outcome of a first attempt – or of many attempts. It’s the same with us in our living. No matter our intention to “get it right the first time” we most often fail along the way. We need to remember that God is cheering us on from the sidelines and waiting for us to be content with our missteps as long as we keep trying. And God’s mercy, that fierce love that God holds for us, washes over us like rain as soon as we are willing to stand before this God in humility and truth. We “hear” God’s voice in different ways: in our relationships/conversations with others, in nature, in church, in the silence…Today the refrain from Psalm 95 has a haunting imperative that calls us to attention and to a love that receives all and has compassion toward all. If today you hear God’s voice, the psalmist sings, harden not your hearts. All of the readings this morning are focused on law. 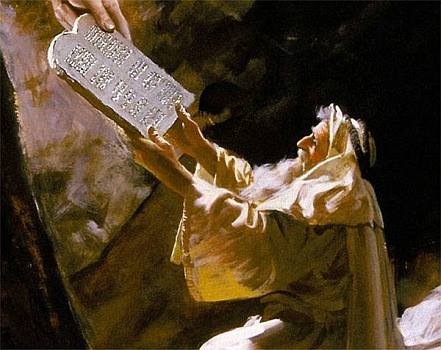 As we hear in Deuteronomy (CH 4), Moses received the Ten Commandments on Mount Sinai as a way to live in the land that God was giving to his people. In giving the laws Moses instructed the people to “observe them carefully, for thus you will give evidence of your wisdom and intelligence to the nations…” He also warned the people, “Take care and be earnestly on your guard not to forget the things which your own eyes have seen, nor let them slip from your memory as long as you live, but teach them to your children and to your children’s children.” It seems then that the laws were not laid on people as a burden but as a guide to right and wise living and were made more intelligible if people looked at them in the light of their own experience. When I think of the Ten Commandments (which is admittedly only part of the Mosaic Law), I usually consider them as rather negative but if I look at them in terms of the culture of the time and fold in these words of Moses this morning, I see that perhaps, after the imperatives of the first three positive statements of how the Hebrews were to relate to God, the proscriptive 4th through 10th commandments were simpler to grasp for a people used to slavery and self-preservation as a way to survive. A new way to think about the Commandments, to be sure. In the gospel today we find another reference to that Law. Jesus grew up reflecting on and living by it and it’s instructive that he said, “I have not come to abolish the law but to fulfill it.” By the time he arrived on earth, there had been some progress in the way the covenant with God was understood by the Hebrews. The statement from Matthew just quoted is part of the great Sermon on the Mount where Jesus lays out eight statements on how to become holy (“Blessed are…”). It seems then that the way to live a wise and intelligent life could be learned by reflection on the meaning of both sets of laws seen through the cultural filter of Jesus’ time as well as that of our day. In our current large and litigious culture we might ask ourselves how we might articulate the law of God for Church and society. What would eliminate the rampant greed and violence and focus us again on the good and compassionate works that lead to holiness? On this feast of the Annunciation, the day when Mary of Nazareth consented to be the mother of the Christ, the Scripture readings are focused on assent to what God asks of us. Clearly the sacrifices of old are not enough. God is asking for our very selves. Psalm 40 repeats the refrain, Here I am, Lord; I come to do your will. The psalmist knows that God doesn’t wish “sacrifices or oblations, holocausts or sin offerings,” and so offers himself saying, Behold I come! To do your will, O my God, is my delight! 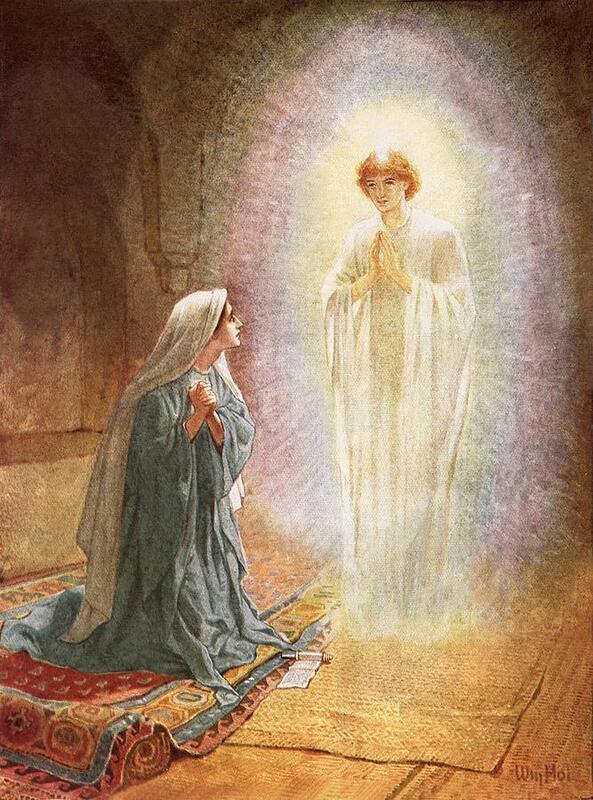 Perhaps Mary was reminded of those words in the startling, incredible event of her encounter with God’s messenger who told her she had been chosen to be the mother of the long-awaited Messiah. The notion of the Messiah that Israel had been waiting for would have given her absolutely no sense that she was in the running for that honor! Why would God choose a lowly teenager from a small town to birth the one who was to restore the throne of David? It could only have been her recognition that this was no self-created illusion but rather a true call from God that made her say yes. Long ago, I read an alternate translation of Mary’s response that most of us know as “Be it done unto me according to your word.” (LK 1:38) That translation spoke more to me of the strength of Mary’s trust in God and her relationship, even at her young age, with the God that was her guiding principle for life. I treasure the translation and, when I am challenged with a path I would rather not walk or a task I would rather not perform, I think of it and try to live up to Mary’s example. I offer it as my reflection for today. Today’s story from the Second Book of Kings in the Hebrew Scriptures (Ch 5: 1-15) teaches a great lesson that even Jesus used when he was talking about prophets not being accepted (LK 4). It concerns Naaman, the army commander of the king of Aram, a leper, who is advised to seek healing for his leprosy in Israel. When Elisha tells Naaman to go and wash seven times in the Jordan in order to be cleansed, Naaman becomes incensed because the directive is something so simple. He was expecting something extraordinary, like a cure on the spot when the prophet invoked his God. Luckily he had wise servants who said to him, “If the prophet had told you to do something extraordinary, would you not have done it?” They suggested he do what Elisha had directed and so he did and was healed. 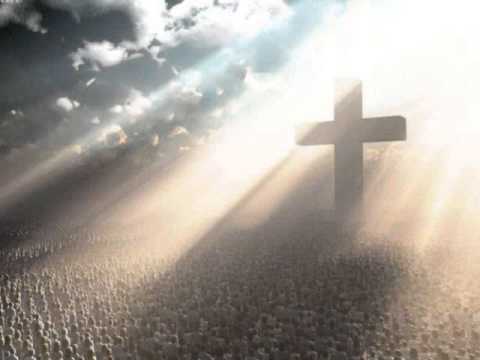 Some of us keep waiting for a great experience of God’s presence to us – a miracle, a theophany, a way for us to know without a doubt that God is with us, on our side, as it were, so we can live the rest of our lives in peace and unshakeable faith. In living this way, we can easily miss the daily moments of grace that reveal God. 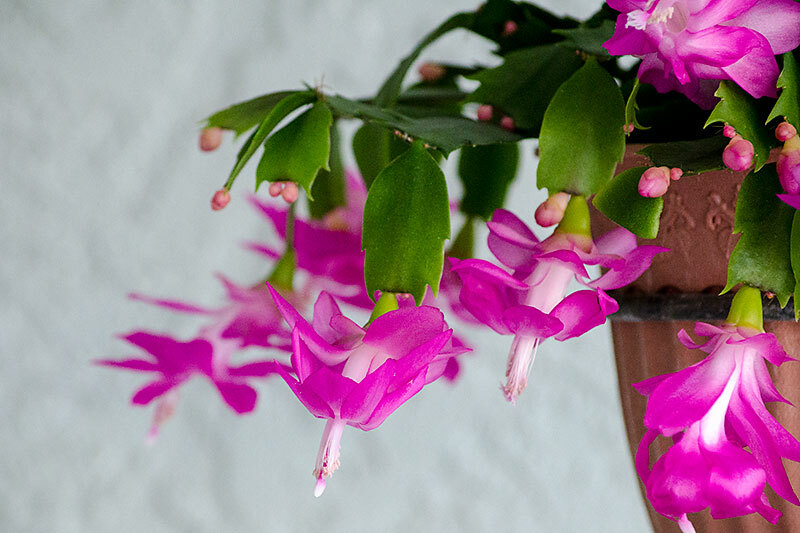 My Christmas cactus has just put out the most glorious blossom that reminds me of the beauty of God’s creation no matter what the calendar says when it continues to be bone-chillingly cold and windy outside. We had a Taizé service for the Sophia Center last night with only 7 people which was profound for its music and for its silence, bringing God as close to us as any wildly celebrative Church service could ever do. It’s all a question of expectations. If we expect God every day and keep our “expectant self” on tiptoe in the waiting we will lose our need for the extraordinary and be satisfied with the simple things God asks of us and gives to us in each moment of presence, each and every day of our lives. The story of Jesus with the woman at the well is a study in nuance and the necessity of looking deeper to find true meaning. Twice during today’s passage (JN 4) Jesus speaks of things that are totally misinterpreted. 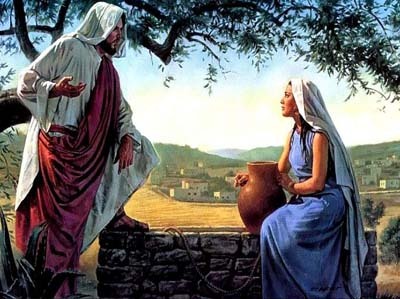 When Jesus surprises the woman by asking her for a drink (Samaritans were the enemies of the Jews; moreover, talking to a woman whom he didn’t know was totally unacceptable), she demurs. He tells her if she knew who was asking she would’ve been the one to ask him and he would have given her “living water.” Her retort of, “You don’t even have a bucket…” was a reasonable response on a literal level, but Jesus was, as we know, offering much more. Had the conversation stopped there, she certainly would have missed the transformation that took place in the encounter. When the disciples came back from their excursion to buy food and urged him to eat, he said, “I have food to eat of which you do not know.” Their reaction was, “Could someone have brought him something to eat?” I feel sorry for the disciples in this case since their understanding of what he said was totally logical. Had they been there to witness his experience with the woman, I wonder if they would have recognized that he was speaking from a different place – a deeper level. Perhaps not as no one had ever spoken to them – or the woman – as he had. This event was early in John’s gospel and it appears that no one was used to the cryptic manner of speaking that was his. They needed to learn to listen from a deeper place, as it appears the woman realized in that one conversation. Today’s gospel is one of the most familiar of the Christian Scriptures. Named the parable of the Prodigal Son it has, over the past few decades, been the subject of much study and deeper interpretation. For instance, one of the more memorable moments for me on the subject was that in conversation about the older son a friend said, “All along the father was thinking that he stayed out of love, but in the end it seemed that his real, deep-down motivation was duty or obligation – which saddened and shocked the father when it became obvious.” That has given me a lot to think about from time to time. More recently I have heard the parable called “The Prodigal Father” and, after considerable confusion, I decided to look up the definition of “prodigal” to try to settle my mind and the interpretation. What I found was two basic definitions. I find it interesting that the two are closely related and that it is possible that the father’s prodigality with his sons was the basis for the younger son’s action with only a tip of the scales toward selfishness and a lack of a sense of responsibility – or youthful immaturity – that turned the whole thing bad. I think of that as I read Psalm 103 this morning. 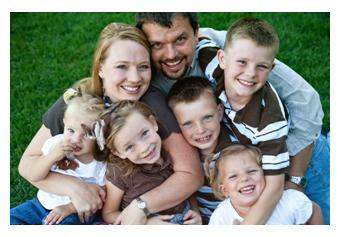 The refrain sings, “The Lord is kind and merciful” – something that must’ve spurred the son to return to such a father. Continuing the analogy, the verse holds out hope and describes what actually happened when the son came home. Bless the Lord, O my soul, and forget not all his benefits. He pardons all your iniquities and heals all your ills. He redeems your life from destruction, he crowns you with kindness and compassion. The son was ready to throw himself on his father’s good nature, aware that he would at least be treated with a measure of mercy. Clearly, the father’s joy at his return was unexpected. It would be a wonderful thing if we could remember that moment as well as the words of the psalm when we are asking God for forgiveness. There is one more thing, however, that the psalm teaches and that I was alluding to when I mentioned youthful immaturity and a sense of responsibility. There is an imperative that precedes the listing of the ways in which we are forgiven – something we must remember. We must be willing to recognize God’s goodness to us and not forget God’s faithfulness. God is always there to forgive our imprudent or reckless behavior but a “thank you” is always in order for the generous, lavish “welcome home” that we are given. The theme of family keeps coming back – here earlier in the week, yesterday in two significant conversations and today in all the Scripture passages. From the Hebrew Scriptures we hear the story of Joseph whom his father loved “best of all his sons” (and he had a dozen!) “because he was the child of his old age.” Because of their jealousy his brothers plotted to kill him. But for a caravan of Ishmaelites passing by, we would not have one of the great stories of the Hebrew people in Egypt. Since it was more financially profitable and somewhat morally acceptable to those who had a conscience, Joseph’s brothers sold him as a slave – and the rest of the story makes good reading toward the end of the book of Genesis. Psalm 105 sings of this betrayal and in Matthew’s gospel Jesus tells an analogous parable to the chief priests and elders (MT 21: 33-46) about wicked tenants who killed everyone the landowner sent to collect the rent – even his son whom he believed they would respect. Jesus was obviously making a point about his own presence on earth and their lack of recognition of God’s plan. I was led in a different direction, however, given my ponderings and conversations this week about family. We often joke in my family about the pride with which my father spoke of my brother. I usually describe this as his “my baby, my boy” stance. Although there was clearly no favoritism shown to any of us and we were just as delighted with my brother as were my parents, the story of Joseph reminded me of other families where difference has become discrimination. Distain for the one sibling that is an artist in a family of engineers or jealousy of the one who is a rich doctor when the rest are middle class laborers is a dangerous thing. Of course, it’s all more complicated than that. We’ve learned a lot about birth order and what all that can cause in the development of personality as well as the role money can play in families…and so much more. This morning, though, I’m aware of the need of all of us to reflect on our responsibility to respect those who have been given to us as blessings and/or challenges to our growth. I speak here of parents who need to nurture their children without binding them too closely – even with bonds of love – as well as siblings who must respect one another for the persons they are. Each of us is a singular, unrepeatable gift of God and we need to treat those closest to us in parentage as we would treat the cherished friends of our hearts. If that is not possible, at least we must be constantly aware of their human dignity and pray for their peace.